Image 6286786: Culinary luxurious prosciutto eating. 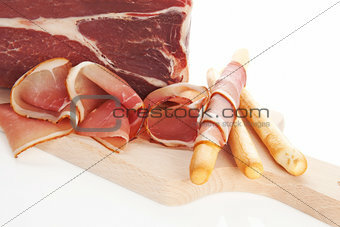 Image Description: Breadstick wrapped in prosciutto slices on wooden chopping board, big prosciutto piece in background. Culinary prosciutto bright background.